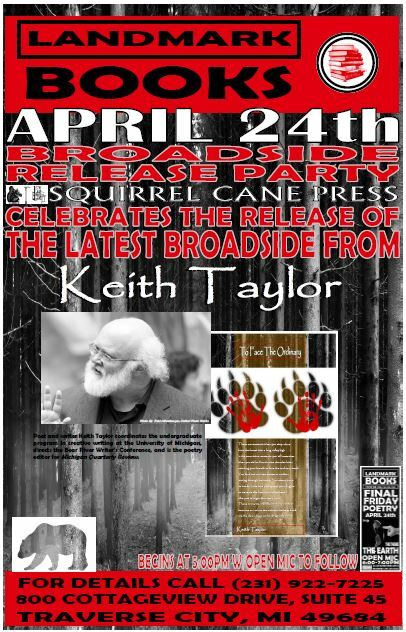 Friday Landmark Books is proud to host the broadside release by Keith Taylor. The broadside titled “To Face The Ordinary” was designed by Squirrel Cane Press and is their first release of the year and it commemorates National Poetry Month 2015. This is the first time this poem has appeared in print and we are excited to have the opportunity to share it with you at our store. About twenty years ago I was a young poet studying creative writing at the University of Michigan. As part of my study I took a workshop from Keith who was at the time also the manager Shaman Drum Bookshop on State Street. It was tough to get into and I think the only way I got in was because a friend and mentor Mimi Mayer convinced him to take me. I’m not sure I lived up to his expectations, but I learned a great deal from his experiences. He introduced me to poets I would never have found on my own and introduced me to Allen Ginsberg. Years later I was a struggling poet publishing a poetry journal and some postcards under Squirrel Cane Press, real underground gritty stuff, or so I thought. Keith encouraged me to keep it going. Years later I was given the opportunity to publish a poem from him and honor his commitment to poetry. We hope to see you all Friday April 24th at 5:00PM at Landmark Books for this exciting event. A Poetry Open Mic will follow, the theme of that reading will be ‘The Earth’ to celebrate Earth Day. 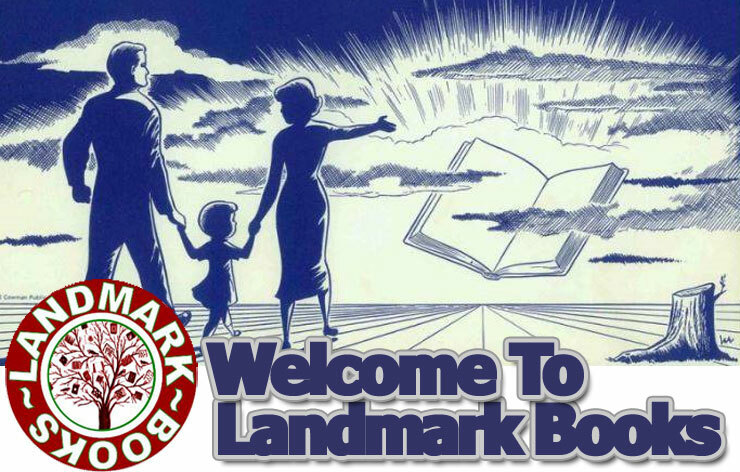 For any questions please call Landmark Books at 231-922-7225.